Every year as we pass the summer solstice, flyfishing opportunities for trout and steelhead abound in the Willamette Valley. There are good numbers of summer steelhead in both the McKenzie and Willamette, and after a lot of rain in late May and early June, the flows are beginning to approach summer levels. As the water falls into shape and warms, fly tactics often start to out perform the gear and bait approach that is more popular with the majority of local anglers. 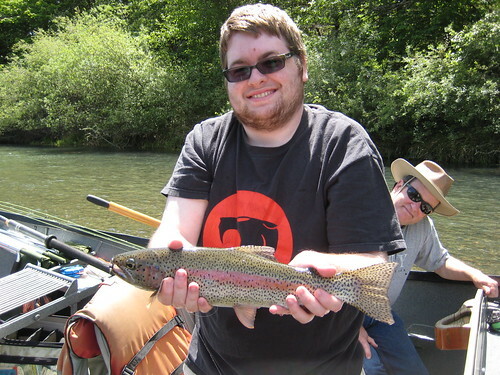 Now is the time to get out and swing for chrome, there are a lot of summer steelhead in the North and South Santiam, as well as the McKenzie and Willamette. 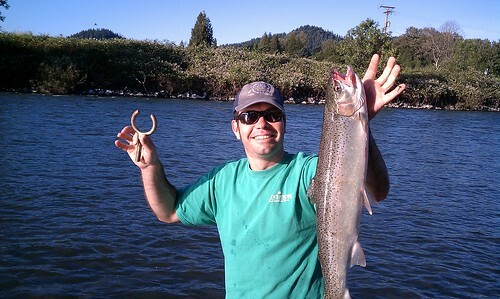 The fishing for wild trout on the McKenzie and Willamette has also been good. On cloudy days a solid hatch of Grey Drakes has been coming off in the afternoon, bringing good fish to the surface. 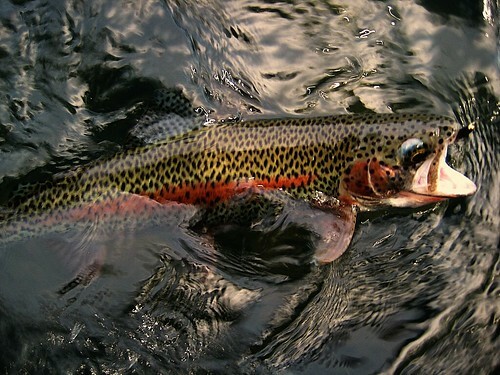 The When the sun is out, however, the dry fly fishing is less consistent. In bright conditions I am finding more of the good fish sub-surface. The green caddis hatch lingers on on the upper McKenzie and Middle Fork of the Willamette, and some adult Golden Stones are starting to show. A few days ago, I saw a good carpenter ant hatch, with decent numbers of these terrestrials on the water, and the trout showing keen interest in them.